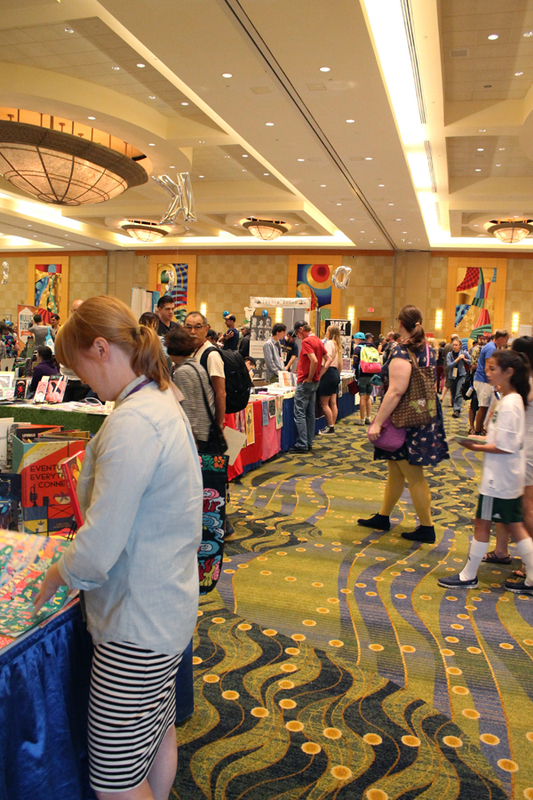 I left this year’s SPX feeling good about the world of comics and my place in it. Can’t say that’s a common post-con experience. This might be the #1 good vibes show. I haven’t slept much since Friday night, so I’ll jump right to the highlights. Women won in every category. Can you believe it? I was actually a juror this year. Most of this year’s jury (four out of five) are women. I have to believe this contributed to the high number of women on the ballot. And no one on the jury was a white male. I wonder if that’s a first too? And what’s kind of awesome is that during the ceremony it didn’t even occur to me that only women were winning. I had to be told the next day. It’s a pretty great moment for women in comics, when something like this happens and it doesn’t even register as being unique. 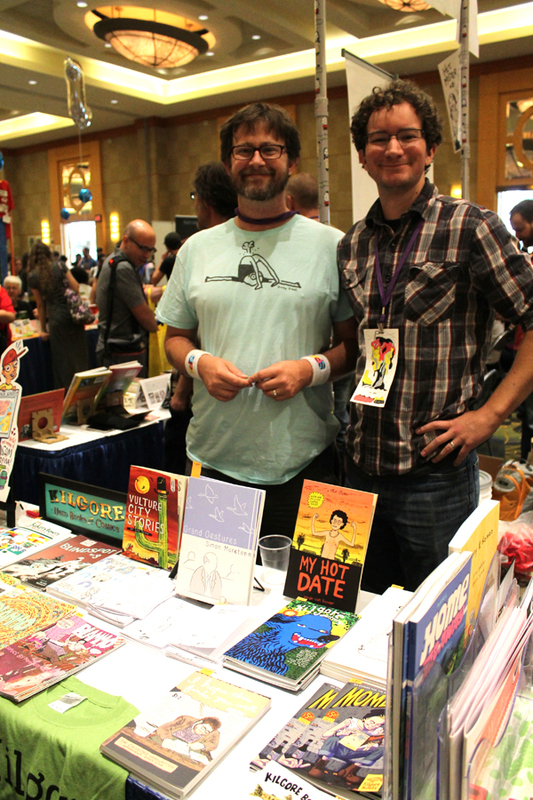 I met Dan Stafford and Luke Janes, co-owners of Kilgore Books, and dropped a good chunk of change at their table. 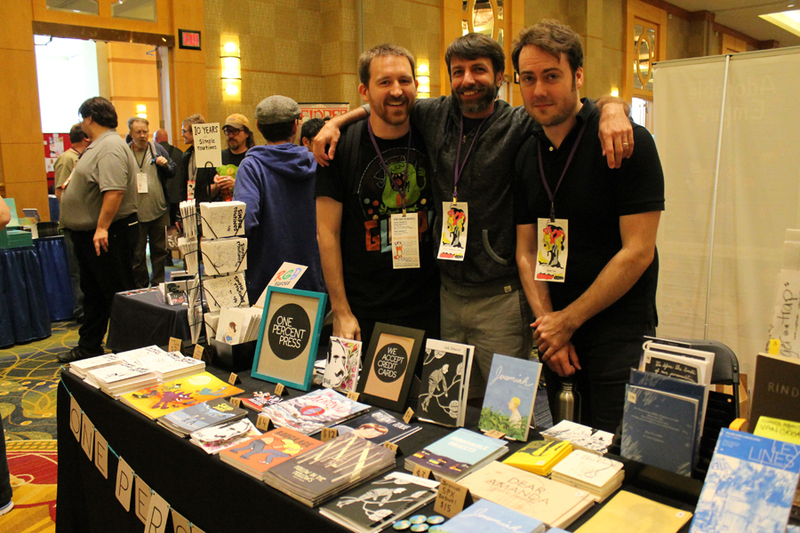 I’ve never been to their shop, but I’m a fan of their books (especially anything Noah Van Sciver or John Porcellino). I just learned that they’re selling the store to an employee, will carry on publishing (not unlike Bergen Street). This year my roommates and I carpooled down to the show with my friend/landlord Nick Bertozzi and friend/not landlord Jason Little. I’ve been hanging out with these guys at convention for well over a decade. 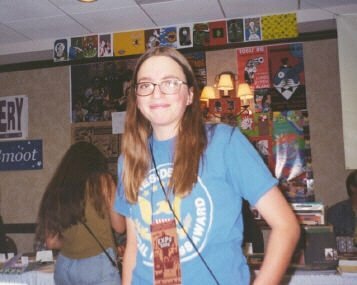 Sorry to get mushy, but it’s friendships fostered at conventions like SPX that’s kept in this crazy world of comics for so long. I’m getting older and I have to admit I’m looking back. Not to suggest SPX is a lovefest for all involved. Communities like this are near-utopic when you’re on the inside, but watching from the outside is rough. (I’ve been there too.) 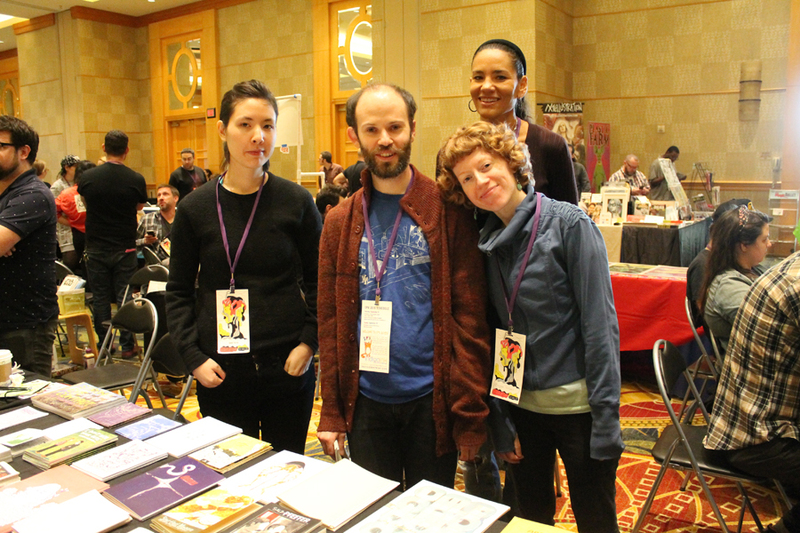 I know there are people who don’t feel a sense of belonging at SPX. (I’d guess, those who are unable to get a table year after year). I’d be interested in hearing these voices too. But let’s get to the fun part: pictures. 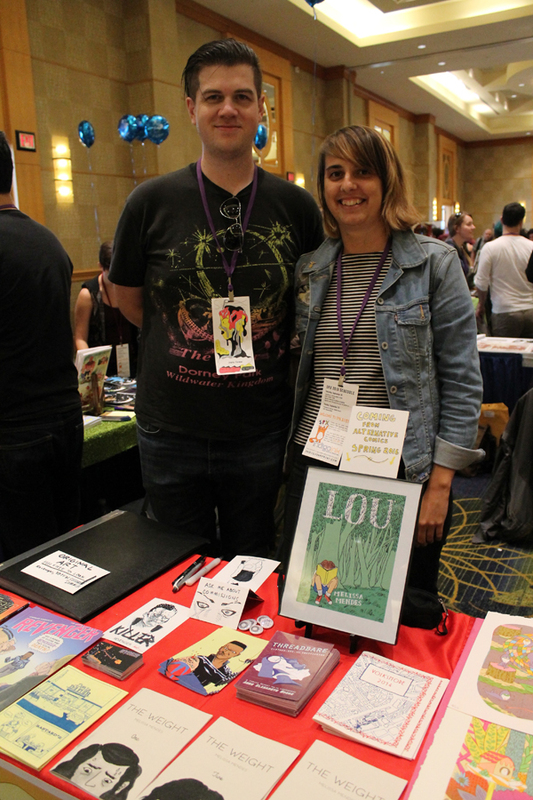 Chuck Forsman and Melissa Mendes of Oily. Lots of good stuff (Revenger, The Weight, the Lou book) on the horizon for both of them. 2D Cloud gang: Melissa Carraher (publicist) in the back, author Sarah Ferrick, Raighne Hogan (publisher), and author Maggie Umber. One Percent Press: JP Coovert (publisher), Alexis Frederick-Frost (author), Stephen Floyd (publisher). This entry was posted in Uncategorized and tagged 2D Cloud, conventions, Kilgore, Oily, One Percent, SPX. Bookmark the permalink. And check out Ignatz-award winner Sophie Goldstein blessing the cover photo!